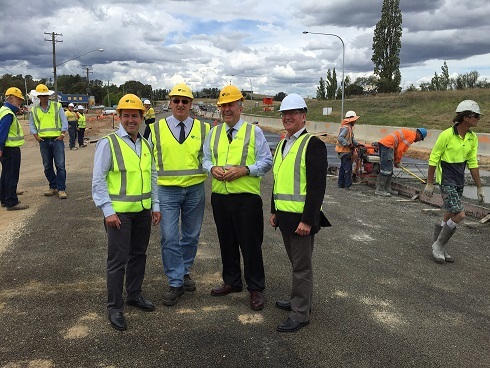 Minister Duncan Gay, Minister for Roads, Maritime and Freight visited Kelso on Monday the 1st of February along with local member Paul Toole and Bathurst Mayor Gary Rush. Phil Standon and Craig Matthews from RMS also attended. 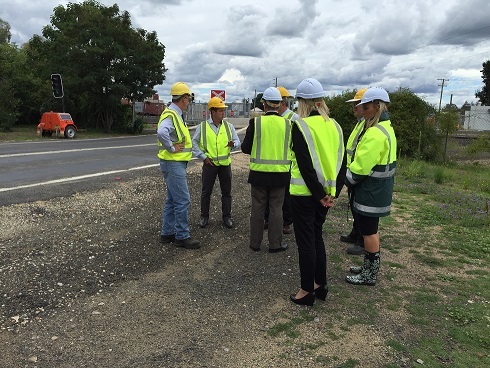 The dignitaries spoke with RMS and Burton representatives at the site office before inspecting the lean mix construction out the front of the compound. 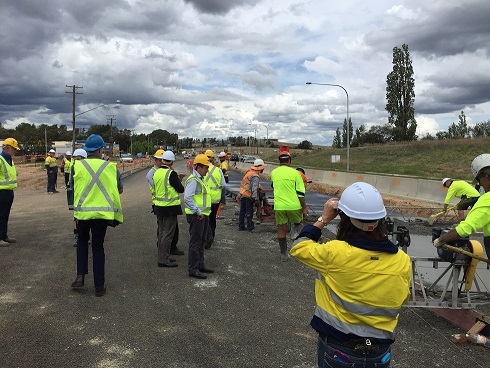 After completing this inspection, the dignitaries visited the Lee Street detour/level crossing as Minister Duncan Gay was fundamental in securing funding and approval for this. Feedback from both RMS and the Minister was very positive. They are impressed with the progress considering the tough environment the Kelso team are working with particularly the business and resident access.